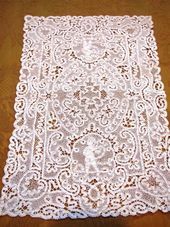 Here are 12 handmade antique lace table placemats featuring: Bobbin lace design with needlepoint fillings figural bobbin lace man at each end of the placemat. 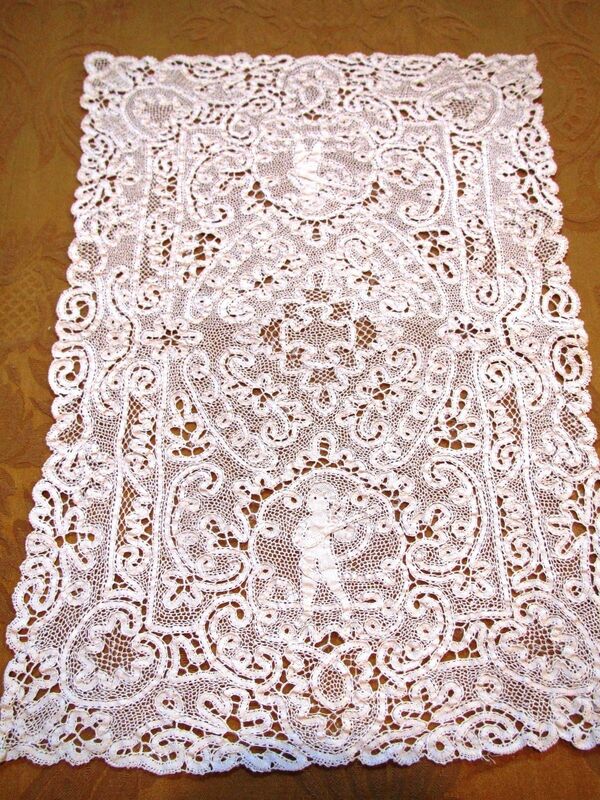 8 Antique Figural Lace Placemats measurement: 14" x 9 2/8". 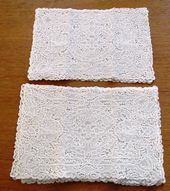 Of the 8 lace placemats that are this measurement - 4 of the placemats are slightly larger by a 1/2"). 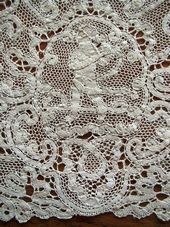 4 Antique Figural Lace Placemats measurement: 13 6/8" x 9" (4 of the lace placemats are smaller). 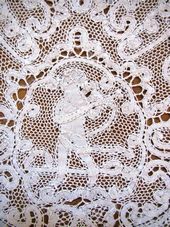 Antique Figural Lace Placemat Condition: The antique figural lace table placemats are in very good condition with some small fixable faults. There are approximately 10 stray threads all located at the placemat edge that just need to be turned under and stitched to keep in place (see photos to see some examples of this). 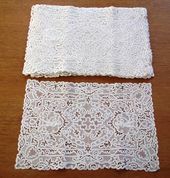 One placemat has a small pale stain (see photo). One placemat also a tiny hole at the top edge of the placemat (see photo).